B&FC has fantastic indoor and outdoor sports facilities available for use by students, staff and members of the public. 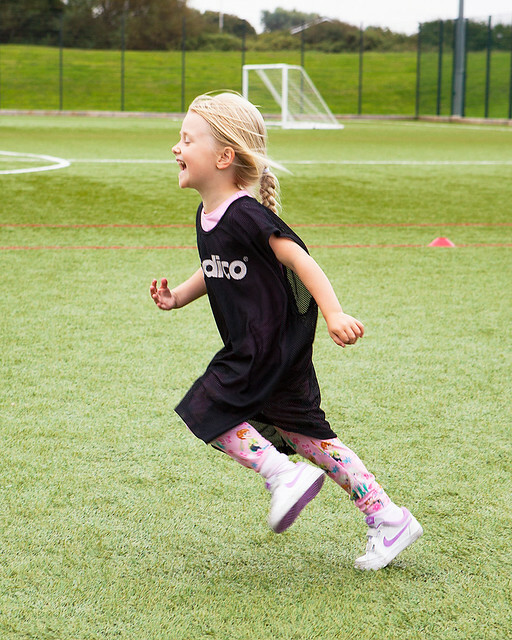 Our new 3G all-weather pitch feels and plays like natural grass, with excellent shock absorption to reduce the risk of injury. This, combined with a brand new floodlighting system, guarantees a great game whatever the weather and time of day. Our 3G pitch is available for hire all year round for team training, children’s parties, corporate events, clubs or just a kick-around. Block bookings (minimum 6 weeks): the hourly rate is £30 or £25 for under 16s (September to April). Throughout May and August, prices will be discounted to £25 for adults and £15 for juniors. One-off bookings: the hourly rate is £35 for adults and £30 for under 16s. We also require a £10 non-refundable deposit on booking. For bookings, please call the Sports Centre on 01253 504 184 or email sportcentre@blackpool.ac.uk. Our sports hall is a great resource and ideal for indoor sports such as volleyball, badminton and basketball. Block bookings (minimum 6 weeks): the hourly rate is £30 for adults or £25 for under 16s and £8 for a badminton court. You can hire sports equipment too. The hall is also available for children’s parties. Throughout May and August, prices will be discounted to £25 for adults and £15 for juniors. For bookings, please call the Sports Centre on 01253 504184 or email sportcentre@blackpool.ac.uk. One month’s payment is required upfront when setting up a direct debit which will be taken on the 1st of each month. No minimum length contract. To cancel a direct debit arrangement, 15 days’ notice must be given to the sports centre manager in writing. Or you can pay per session at a cost of £3. We operate a pay-as-you-go system, which means you can stop your membership at any time. We run the following fitness classes, which are free to members and £3 to non-members. For more information about the Inspirations Fitness Suite, please call the Sports Centre on 01253 504 184 or email sportcentre@blackpool.ac.uk. Our action-packed and fun programme of sports, games and creative arts is the perfect way to keep the kids entertained during the school holidays. There’s something for every age group so little ones can keep up and the older ones don’t get bored! Sports activities are delivered by professional coaches and all staff are First Aid certified and DBS cleared. Our holiday camp is aimed at kids aged 5-14. Early bird discount: book and pay in full by 23 March 2019. Early bird discount: book and pay in full by 11 May 2019. Early bird discount: book and pay in full by 29 June 2019. £12 per day, per child or £55 for the full week. Book early and pay in full to get a reduced rate of £10 per day or £45 for the week. A minimum payment of £5 per week per child is required at the time of booking to secure your child's place. For more information and to book, please contact the Sports Centre on E sportcentre@blackpool.ac.uk or T 01253 504 184.